Jim’s fifth solo album and yet his first of entirely self-penned songs; ‘Forgotten Kingdom’, marks ten years since the release of his début recording ‘Fruits of the Earth’ back in 2005. 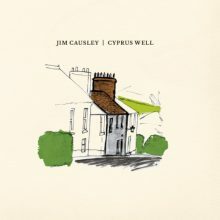 It mixes songs of love and loss (whether that be a human or a homeland) with tales of the ancient Celtic kingdom of Dumnonia which is so dear to Causley’s heart. Truly his broadest creative work to date, Forgotten Kingdom is a real aural treat featuring a large cast of guest musicians on a wide range of instruments from brass to bagpipes! 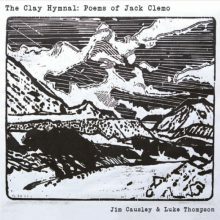 Jim is joined by many friends from the Devon folk scene including Steve Knightley & Phil Beer, Phil Henry & Hannah Martin, Miranda Sykes & Rex Preston, Seth Lakeman, James Dumbelton, Jackie Oates, Lukas Drinkwater, Kathryn Roberts, Mark Bazeley, Matt Norman, Ninebarrow, The Claque and many more!